Baking cookies is one of my favorite things about the holiday season. on the stereo and the sweet smell of flour, sugar and sprinkles. I love hosting our annual cookie baking day with my sister-in-law and my daughter. 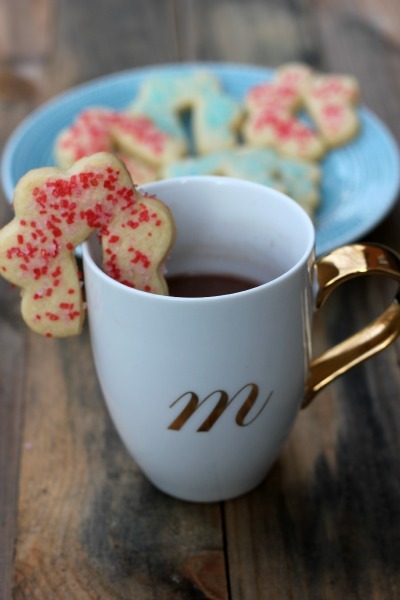 other bloggers to bring you The Sweetest Season Cookie Exchange and Giveaway. to miss this giveaway! Hint - there is a KitchenAid mixer involved!! add them to my cookie list this year. 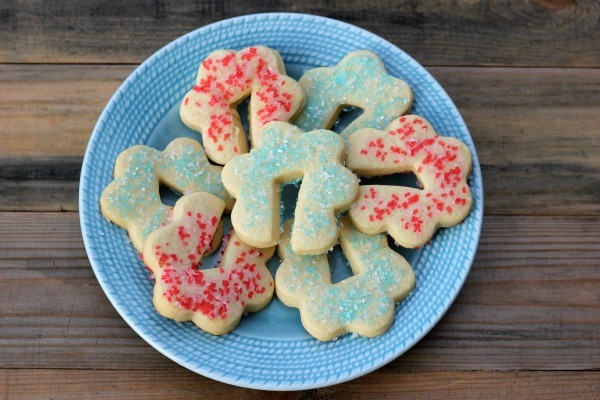 Bridget's sugar cookie recipe. Her recipe worked perfectly and they taste so delicious! 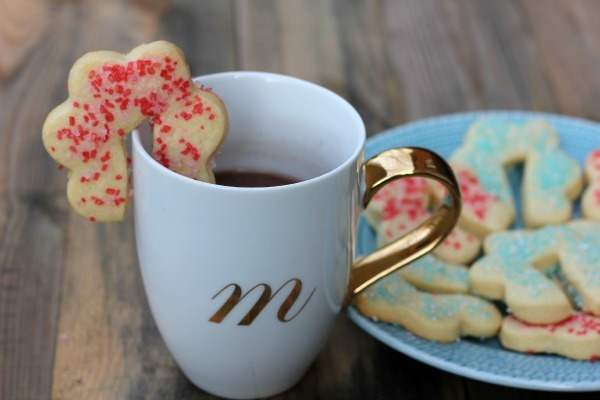 This sugar cookie recipe will definitely be added to my holiday faves. can't wait to serve them on Christmas eve! paper or a Silpat. Combine the flour and baking powder, set aside. In the bowl of a stand mixer cream together the butter and sugar. at a time, mixing just until combined. Do not over mix. hands. Roll the dough out on a floured surface about 1/4 inch thick. prepared baking sheet. Sprinkle with decorating sugar if desired. Bake for 10-12 minutes or until light brown on the edges. them to a cooling rack. 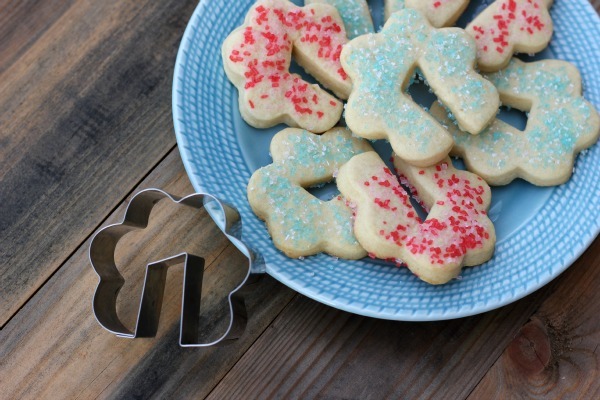 Yield - 16 cookies using the cutter shown above. Recipe from Bake at 350. I received free product from Imperial Sugar, Dixie Crystals and Bob’s Red Mill as part of The Sweetest Season Cookie Exchange. As always, all opinions and recipe are my own. Thanks for supporting the brands that support Me and My Pink Mixer! 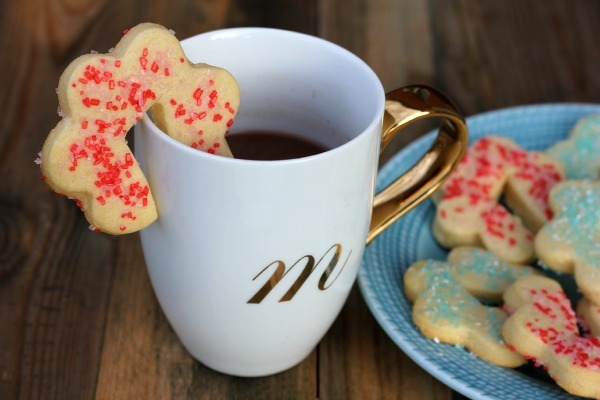 I’ve teamed up with 50 other bloggers to bring you The Sweetest Season’s Sweetest Cookie Giveaway! We’ve put together an incredible cookie baking prize package, and we can’t wait to tell you more about it. I love making decorated Christmas cookies too. What a great giveaway. Thanks for stopping by Cindy! Merry Christmas! Thank you Megan - I love them too! Thank you Janet! Merry Christmas to you too sweet friend!